In many democratic societies across the globe, government functionaries, representatives and leaders of the people are usually expected to put the affairs of the people they are representing at the forefront before anything else. The general interest of the people is always considered while other motives are just secondary. And in a federal system of government such as the one practiced in Nigeria (quote and unquote), there are expected to be some representatives of various federating units to whom the people unanimously gave their mandates to be represented at the centre for the fair distribution of whatever resources there is for the people they are representing for the sole purpose of upholding the federal character which centres on equity, fairness, justice and inclusiveness. 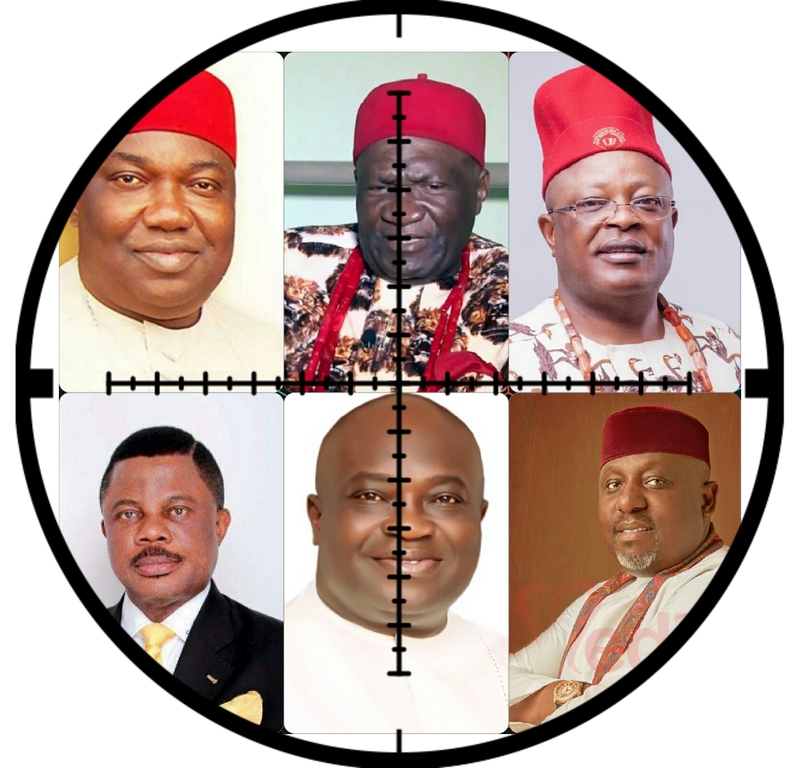 But unfortunately, these leaders from southeastern Nigeria has for so long abandoned the people they are meant to represent and only kept focusing on themselves, their families and cronies, leaving their people to keep wallowing in abject rejection, destitution and reckless abandon because they have sold their souls to the devil by signing the fraud documents through which they have boxed themselves into a dangerous corner of perpetual slavery and servitude to the northern caliphates who believes and constantly confesses that they are born to rule while the rest of the federating (conquered) units in Nigeria are born to be ruled. These dangerous unrepentant steps taken by these southeast leaders has rendered them totally insignificant and irrelevant in the political scene of the country such that before they are allowed to take up any political post in the Nigerian polity, they must first sought for the blessings and/or endorsement of the Sokoto caliphate which includes swearing an allegiance, obligation and an oath of commitment to always abide with the directions of the northern slave masters even when such directions are detrimental to the well-being of the people they are representing, they won’t care provided they are allowed to uphold their political positions which is of utmost importance to them. To say the least, the feudal Lords from the northern caliphates has in countless occasions sounded it clear that they owned Nigeria, the resources therein and the sole right to chose who occupies the presidential seat which they have constantly used as bait to enforce the franchises of the southeastern people by always promising our so-called southern leaders with the elusive presidential post which should have been a clear action expected to come from the national constitution and not from some rogues who parades themselves as the owners of the federation. These are the questions that the younger generation from southeastern Nigeria have been asking their leaders without providing answers to any of them for a long time. As if that was not enough, these same selfish southeastern leaders have constantly resorted to betraying and sabotaging every good move taken by their people to liberate themselves. They connive with the northern caliphate and their monstrous Fulani-dominated Army and other security operatives to unleash unprovoked terror, killings et al, against the people they claim to represent. They instigate and give nod to the coldblooded massacre of our youths for merely raising their voices to ask questions through peaceful protests across the region against the bad representation and gross marginalization they have been subjected to for a very long time. Suffice me to say that in other regions in Nigeria, where many radical youths has in recent times committed atrocities capable of disintegrating the country overnight, yet, their northern and western leaders pardoned and accommodated them and never came out to openly condemn their youths unlike their southeastern counterparts who even went to the extreme of demanding for the heads of their youths to be brought on a plate. This level of treachery, betrayal and sabotage which has not been recorded amongst any leaders of a people in any part of the world except for these crop of crooked and unscrupulous individuals parading themselves as leaders and representatives of the people are among the numerous reasons behind the vote of no confidence passed on them by the younger generation who has determined to take their destinies in their own hands and free themselves from perpetual slavery in order to return justice, dignity and decency to their society and above all, to restore their nation which was forcibly annexed from their ancestors.